This is an on-going series in which the second book, Onyx, was just recently released. 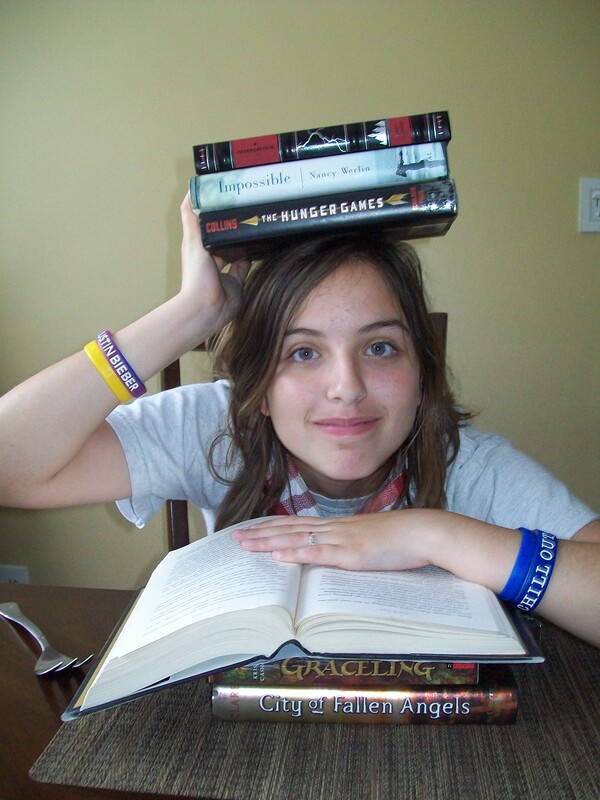 Katy (just like myself) is an avid reader and a total book lover. She does a blog on the books she has read and occasionally a vlog. She just recently moved to a new town with her mom after the passing of her father. Katy takes refuge in gardening and reading her paranormal romance books until the day her neighbors make an appearance. Daemon is a swoon-worthy guy and his twin sister, Dee, is just as beautiful. Daemon begins torturing Katy with his crude and uncalled for words after Katy befriends his precious little sister. As time goes by, Katy begins to realize there is something odd about Daemon and Dee. One day, she is attacked by a man dressed in all black. Daemon comes to her rescue and kills the strange man, leaving a HUGE target on Katy’s head. He gave her a trace. Now she is visible to everyone that is trying to get to Daemon and Dee. Visible to all the other ALIENS. Yep, it’s an alien book, BUT a good one. (Not the cheesy green-skinned-fish-eyed people) They are aliens that can travel at the speed of light and their true forms are that of a bright blue light in the shape of a human. But that’s all I am spilling, so pick up a copy and try out the idea of aliens…….hot aliens!!!!!!! 4 ½ stars out of 5!!!!!!!! check out this series here! Scarlet wakes up in the middle of a forest and has no idea who or where she is. Amnesia, that’s what she suffers from. While getting adjusted to this new city and caretaker, she meets a guy named Gabriel but that same night she keeps seeing another guy that looks just like him. Not understanding what exactly she’s gotten herself into, she begins a relationship with Gabriel and his twin Tristan. But only one can love her while the other has to kill her. Her world just got complicated. I don’t want to give away any more of the story– you need to find out for yourself. This story evoked a lot of feelings from me. One second I was rooting for Scarlet and Gabriel and the next I was praying that something hot would happen between Scarlet and Tristan. Some moments I had to stop reading so I wouldn’t freak out ( I was reading it around midnight). The humor in it had me laughing out loud obnoxiously and ridiculously. And lastly the romance, it’s swoon-worthy, honestly. The love between Gabriel and Scarlet is chaste and very sweet. On the other hand, with Tristan its bumped up a few notches. Check out this series. You won’t be disappointed but rather, you’ll be left wanting more.